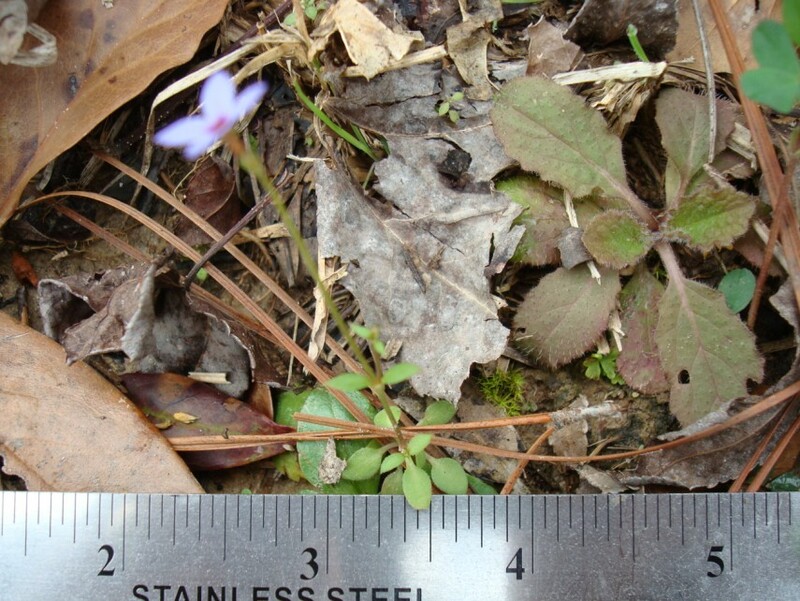 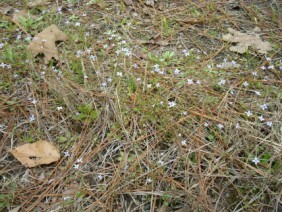 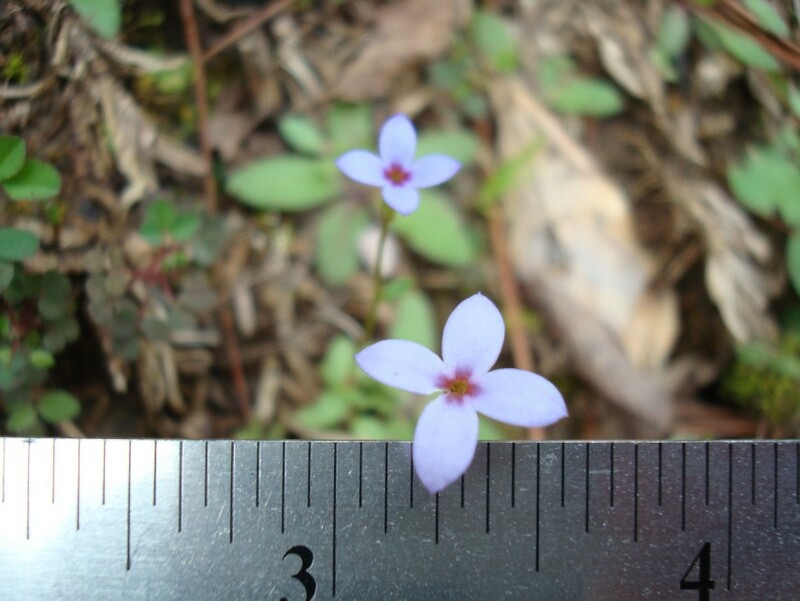 Bluets, or Quaker Ladies, or Innocence, are tiny plants. The flower, while small, is actually rather large for the plant. 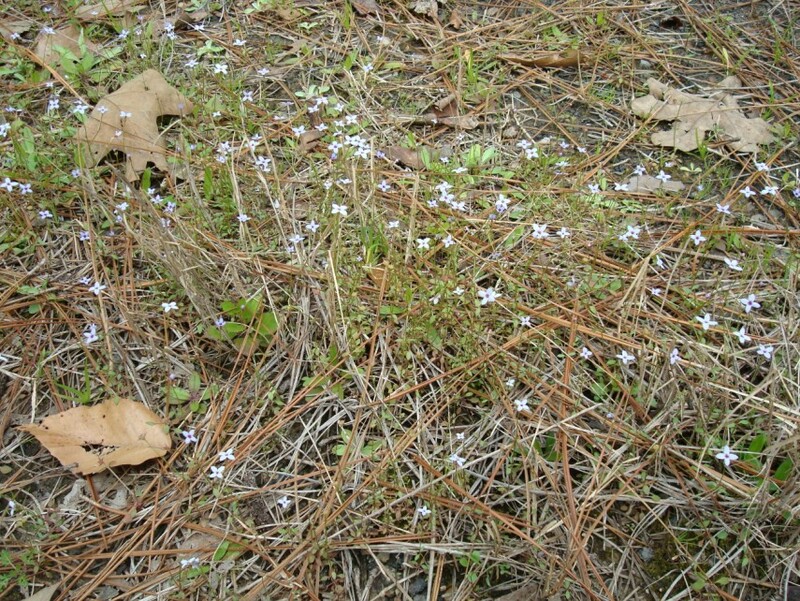 Bluets are a member of the Madder family. These plants were photographed along Highway 43 in Axis, Alabama, in early March.